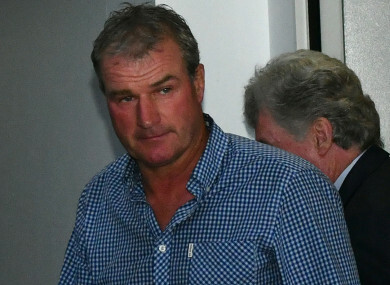 The devices were found in Darren Weir’s bedroom. MELBOURNE CUP-WINNING trainer Darren Weir was disqualified from racing for four years by the Racing Appeals and Disciplinary (RAD) Board. Weir was found guilty of three charges of possessing an electric or electronic apparatus that can impact the performance of a horse, and one charge of conduct prejudicial to the image of racing. A hearing on Wednesday was told Weir, who saddled Prince of Penzance to Melbourne Cup glory four years ago, had electronic apparatus – known as ‘jiggers’ – found in the bedroom of his property. “Mr Weir will not be permitted to participate in the racing industry in any way over the four-year period, including, but not limited to his participation in the training of horses, attending race meetings and licensed premises and deriving any benefit from the industry,” Racing Victoria (RV) executive general manager racing Jamie Stier said in a statement. “In the interests of Mr Weir’s owners and staff and the welfare of horses, the stewards have granted permission for licensed trainer Michael Leonard to assume care of Mr Weir’s horses for a period of up to 28 days whilst discussions continue for a permanent solution. “During this 28-day period, Mr Leonard will be permitted to oversee the training of horses at Forest Lodge Stables, however he will not be permitted to nominate horses transferred to him from Mr Weir for any race or official trial. Email “Melbourne Cup-winning trainer handed four-year ban for use of electric 'jiggers'”. Feedback on “Melbourne Cup-winning trainer handed four-year ban for use of electric 'jiggers'”.